It’s not easy to strike real-time marketing gold by zeroing in on a cultural moment and crafting a perfectly timed, relevant post. Oreo’s “You Can Still Dunk in the Dark” tweet during the 2013 Super Bowl blackout is legendary, and only a handful of brands have been able to achieve similar success with the strategy. Josh Martin, director of digital and social media at Arby’s, spoke to eMarketer’s Maria Minsker about how the quick-service restaurant chain’s logo, a hat, paved the way for a real-time engagement opportunity, and how the brand’s social listening strategy has shaped its real-time marketing success. eMarketer: How do social listening and social marketing come together for Arby’s? 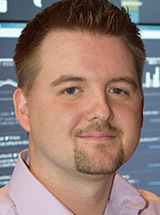 Josh Martin: Both listening and marketing are important for a sound social strategy, but listening is a priority. We don’t push content and ads to our social channels; we listen. We do a lot of marketing, but our marketing is less about pushing ads and more about listening to what people are saying, as well as finding relevant ways to join the conversation.